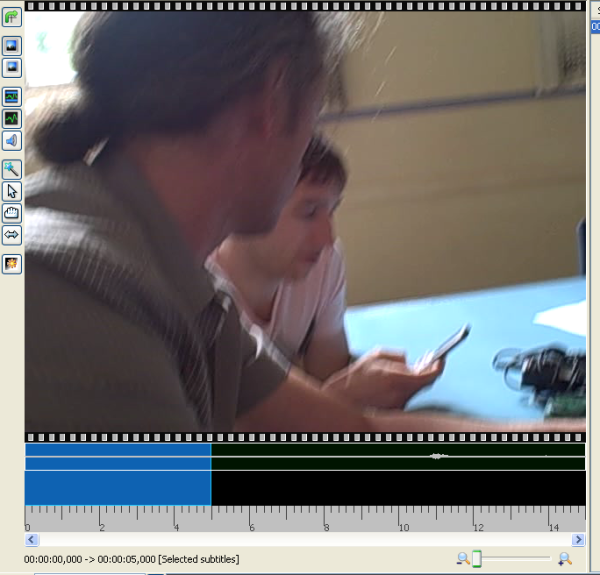 It can be very useful to view the audio track when creating subtitles. A audio track is represented by lines that look like a 'wave'. This wave is a graphic illustration of the shape of the actual sound wave. 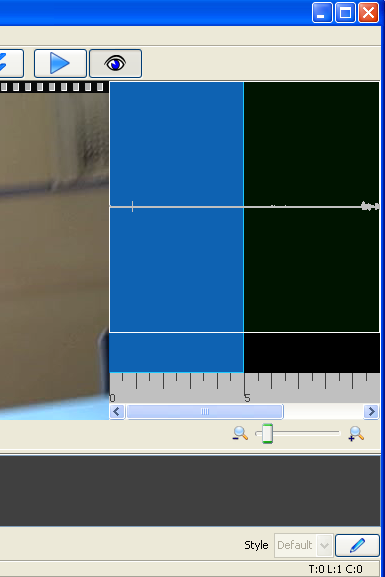 If you can see when a sound waves starts it can help to time the subtitles more accurately and add extra comments for noises the occur in the background. In the above example there is a small area for displaying the audio track but it is too small to be useful. To extend it click on the right edge of Jubler and drag to the right. This will extend the window and give the audio track more display space. 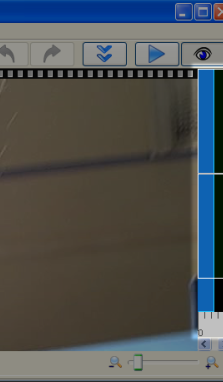 If you grab the blue section and drag it then Jubler will display a video still corresponding to the video at that point on the timeline. The video still will only display once you have dragged the video and released the mouse button. This is useful if you want to focus on a small section of audio or wish to see the entire audio timeline displayed at once. There are different tools for changing the active area of the audio preview. The default one is a wand with a star. This automatically decides if you want to adjust the edge of the blue active area to change the length of the selected area, or slide the whole area unchanged in length to earlier or later in the clip. Use this one. If you want to change the length of the highlighted clip go the edge and the cursor should change to a double ended arrow. Hold down the mouse and slide it to change the length. And if you want to move the whole area forward or backwards without changing the length move your cursor over the highlighted area and it will turn into a hand. Hold down the mouse and move it left or right it to change the position of the active area.